Early Season Grain System Specials – GSI, Hutchison, Lowry and More! With the early arrival of cold weather and fall harvest coming to a close, maybe you’ve been thinking about a grain system upgrade or new options for your grain drying or handling? Whatever the case, Gateway FS encourages you to take full advantage of our early season specials going on right now on grain systems including drying, handling and storage. FS Construction Services offers many brands of grain systems such as Sukup, Shivvers, Brock, GSI, Grain Handler, Hutchison, and Lowry. 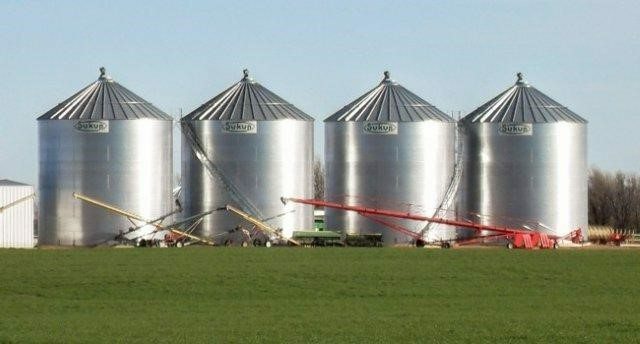 These brands and FS Construction Services are dedicated to helping you find the most innovative and cost-efficient grain systems that fit all your grain storage, drying and transfer needs, whether it be an equipment upgrade or new addition. If you’re considering making the investment but are unsure about which grain system upgrade will be most beneficial, we suggest contacting our Grain Systems department at 866-551-3454. We’ll be happy to explore your options and discuss our early season specials. This month in my paint corner, I will be discussing something that I know not many people particularly like and that’s sanding. 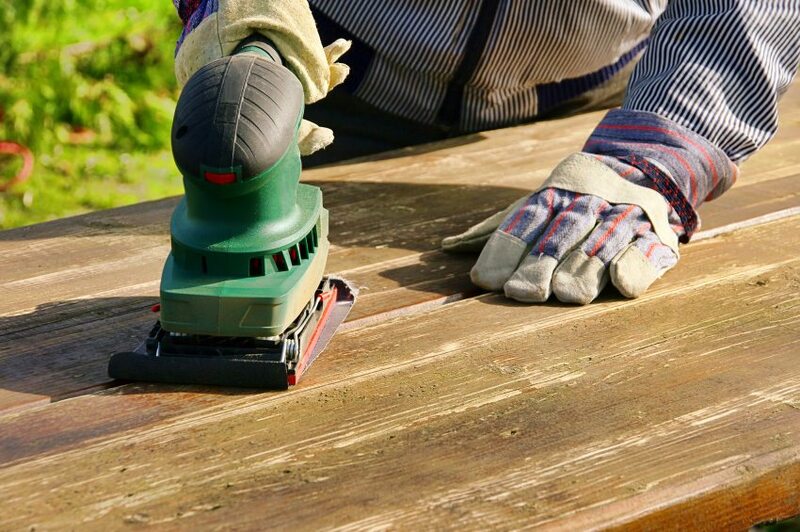 Most people who read my column have sanded once or twice before and I have a few helpful hints and tips to carry out this task more efficiently and hassle-free. A lot of people who embark on a paint project don’t think sanding is necessary. If there’s a nick, scratch or divot in the paint surface and/or flaked off paint or even drywall that has seen better days, just simply painting over it without sanding first will show all the unwanted imperfections. When looking for that smooth surface, sanding is exactly what you need and it ensures good adhesion with an overall finished look. Remember, when you do sand, all dust needs to be removed or the paint will not stick. To strip a surface of previous coatings, I recommend starting with 60-80 grit abrasive. This is done when you wish to go back to bare wood. Once you have the bare wood, you can then go to a finer grit of 200-400 to smooth the surface. If paint is loose or flaky, you might consider power washing prior to sanding, especially when the painted or coated surfaces require more attention. The goal in this step is to remove any heavy build-up of paint. Now that you have the surface carefully washed, I would recommend 100-150 grit with a power sander. This will feather the edges well and help the primer and topcoat look uniform. Also, if you have pre-primed surfaces, scuffing is a highly recommended step. Using 180-320 grit will help with topcoat adhesion. Finally, use a tack cloth to remove all the traces of your sanding. You don’t want to leave any trace of dust that could lead to a paint failure! If you have questions about sanding or painting, you can call me at 618-972-9516 or email me at bgarleb@gatewayfs.com. Now that fall harvest is coming to an end, it’s the perfect time to evaluate your current grain drying system and make sure its running at the best quality possible. It’s always important to examine your equipment after a busy planting or harvest season. Having a great plan of attack and head-start for the next season will ultimately maximize next year’s crop while keeping it dry and mold and toxin-free. You may find that a grain system update is in order if you’re finding mold from inefficient dryers and/or faulty grain transport systems. That unwanted mold and spoilage is a helpful indicator that your drying system isn’t working fast enough or drying the crop evenly, which is an unfortunate financial situation you need to avoid. Now is a great opportunity to begin exploring your options in investing in a new grain drying system and if you’re currently in mid-harvest, we recommend taking a look at the FS Grain Drying Guide on our site. You’ll find 60 pages of information on different drying systems and the specifics for drying corn, soybeans, wheat and milo. Monitoring moisture and maximizing your crop during harvest is the most important task at hand, as well as closely inspecting your grain systems to ensure the best overall outcomes of your crop. Our Grain Drying Guide will come in very handy for your future harvests. The facts in the guide can lead to a true increase in your harvest revenue – something vitally important with our unpredictable weather. Contact FS Construction Services at 866-551-3454 for any additional questions or information, or to discuss a grain handling and drying system built to handle our wide variety of growing season weather.